As you know, our company welcomes arranging different activities to upgrade skills, abilities, and training of the staff. We have organized time-management session in our office this time to teach our employees to manage better timing during work. 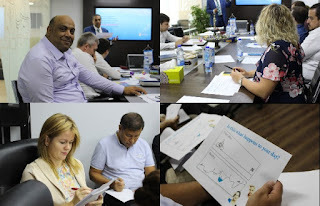 Anna Kozhenko – HR manager of group of companies was leading the session. 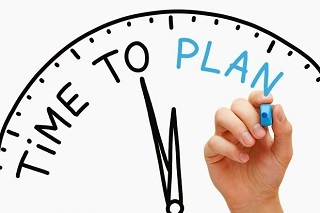 In her report she spoke about how important were to plan the time effectively, to distribute priorities during schedules in tasks, good allocation of resources and has mentioned about prompt response on stress situation that could arise due to mental activity at work. A particular focus was placed on support and help to employees with respect to specifics of labor activity and recognition of best performances. Company employees listened to Anny with great interest, asked questions and shared their experience to learn the material completely. They also contributed offers to help improving the program. We have already informed that our company moved to the new office lately. The process is complete but we haven`t made housekeeping of office territory yet. 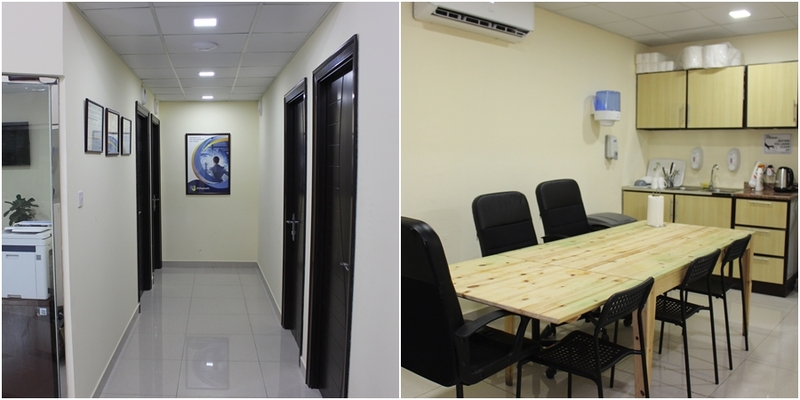 Each in our company is aware how important is to have clean area near the working place so we took it very serious. 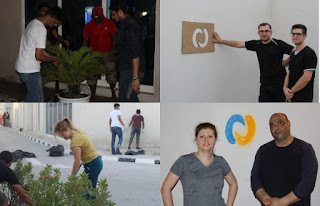 We started with removing of mud and trash then wet cleaning of walls and sidewalks in a friendly competition. We finished the day with gardening of territory, applying NT.Payments logo on walls and marking of parking place. Undoubtedly, such events stress on importance of corporate commitment and unity of team spirit. This fact is the best reminder to say that people in our company are able to spend free time with profit and joy aside from selling franchises and managing terminals. Modern world where time is valued and fast decisions are welcomed friendship between the colleagues is very important. Friendly attitude helps to solve plenty of tasks and achieve targets. NT.Payments group of companies employ people from 14 countries speaking different languages and practicing various religions. 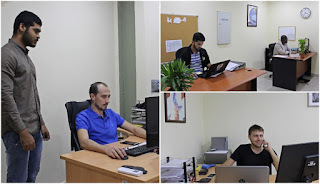 Our technical department is the best example how diverse cultures are kept in peace, business and friendly relationships are maintained inside of team. 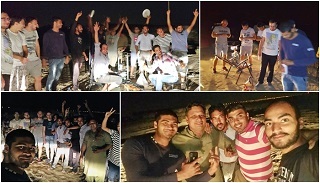 It was decided to arrange team building – barbeque outdoors to encourage team spirit and improvement of performance. The colleagues discussed the importance of working cooperatively, shared cultural experience, sang songs and danced folk dances. We hope that such events held unofficially help to solve promptly routine tasks and interaction between the employees would only improve. 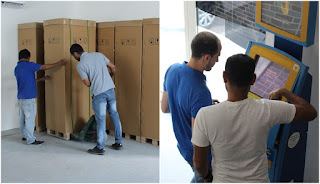 We have previously told you and shared some photos about moving of our company to the new office. We would like you today to take a visit to technical and financial departments. Interestingly that this part of the building has resembled a huge industrial premise in other words a storage shed before we came here. We have decided to build an extra storey to use space effectively and place comfortably all departments inside the building. First thing that you see when you enter the office is the huge room with terminals. This is the warehouse of the company. 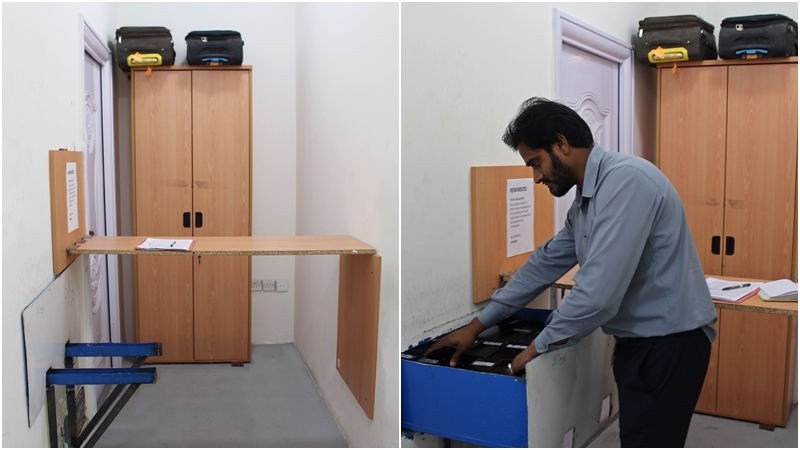 Employees of technical department repair and get kiosks ready for installation here ˗ set up an operation system, upload software and make overall diagnostics of kiosks. There is a recreation room near the warehouse. Here one can find everything to make our employees rest after long regional trips. We have placed one of divisions of finance department to the right of the stairs. 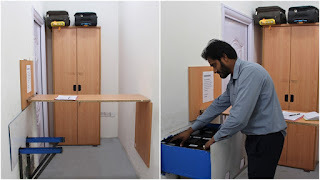 Perhaps, this is the most closed office of our company since our employees hand over cash boxes of terminals here and calculate money to be delivered to cash collectors of the banks. There are 4 little offices on the second floor and a kitchen. To the left – a spacious and bright office of Alexey Trofimov, head of technical department. Restoration department is located next door. Specialists check here operability of kiosk equipment and do some repair works. Our colleagues are busy making inventory today so we will move further not to distract them. Coordinators of technical department work too in this flank of the building. They supervise duties of technicians and cash collectors, assign tasks, draw up reports for kiosk operations, address requests by sales managers and Taunigma help desk on terminal work status. 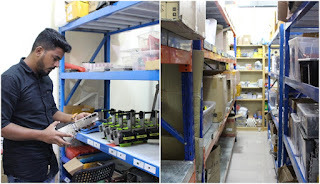 We have also a small warehouse located on this floor to accept new equipment and spare parts procured by supplier plant, submit to technical group everything required for repair and cash collection. 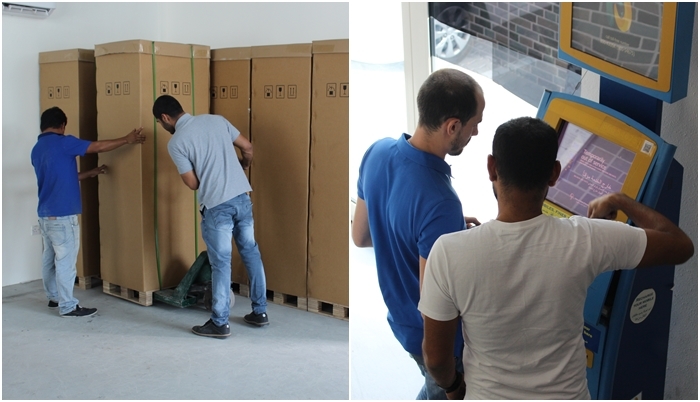 We have recently supplied another batch of standard kiosks to the warehouse. 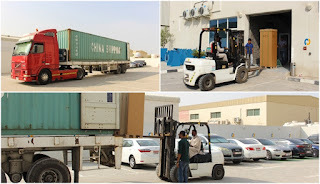 They were carefully unloaded by technical crew and moved to a new warehouse. 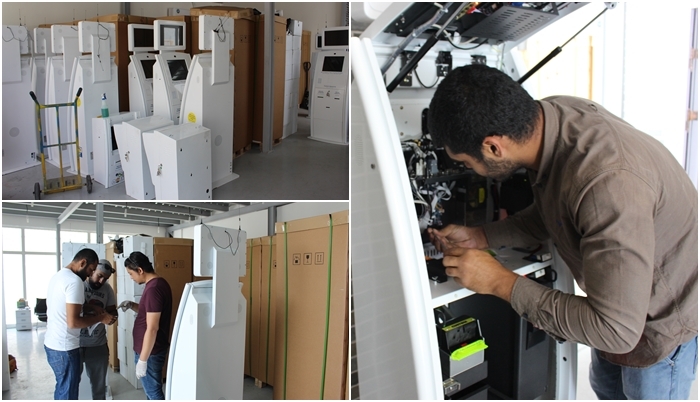 Our specialists have already diligently started preparations to install the equipment. These terminals will be delivered soon to all regions of Emirates. Follow the news and we are glad to see you in our new office. Comfort travel with Mr. Cash & Mr. Pay! UAE is a country of perfect roads which again mentioned among top of the best roads in the world. 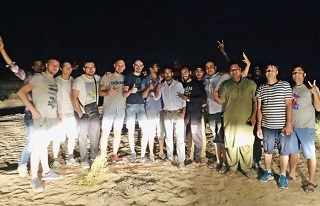 Every day residents and visitors of UAE are going to Dubai to their work, business trips, mini-tours, airport etc. Drivers often choose Dubai’s toll roads to save time which provide quick and comfortable drive from one destination to another. Mr. Cash and Mr. Pay are going to a small trip to Dubai in this video. They will show how to pay toll road services in Emirates at self-service kiosks of NT.Payments.